It’s been a mad couple of months here. In retrospect, it started well before the school holidays with the lumpy one’s A-level exams, Mr MilkChic’s rainwashed birthday barbecue and the visit of his elderly and disabled Uncle from South Africa (actually a lovely time, which will hopefully be repeated soon, but slightly stressful in anticipation, as we’d never met before!). By the time the school holidays started we were already worrying about small’s birthday at the beginning of August â€“ I was desperate to give her a â€œperfectâ€ birthday this year, as after too long with five of us crammed into a 2-up, 2-down with no room to swing a hamster, I wanted to make her first ever birthday party a special one in our new home. 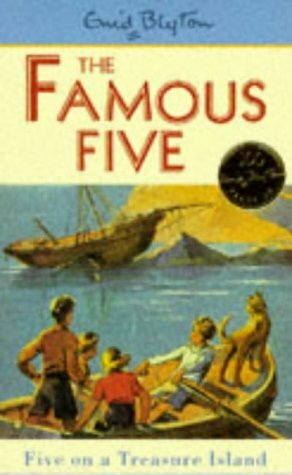 I freely admit to hankering for an Enid Blyton style life and I am both by nature and necessity a time not money girl, so it will be no surprise to anyone that knows me that I slightly overstretched myself. I’ve been collecting dress-up clothes in charity shops for months so was confident I could put together an exciting present for her without spending a fortune, but… what with having a garden now, I’ve been SO desperate to make her a teepee and it seemed rude not to try to get it done for her birthday. I may have got just a little carried away, so we now have a 8ft handsewn teepee behind the potting shed. Luckily, my family are forgiving of my idiocy, and happily took on increasingly random and varied tasks as I realised how little time we had. It probably says something about our household that the lumpy one’s girlfriend, always helpful, barely batted an eyelash when I asked her to make me a treasure chest for the dress up clothes… I had to pull a few all-nighters, come up with some inventive lies about what we were doing, and I was still sewing the doorway when small got back from nursery, but it definitely had the desired effect and made for an interesting birthday tea with 2 adults, 3 teenagers and one very excited 3 year old huddled up inside! I love baking. So I often offer to make birthday cakes. Unfortunately I’m not as good with dates as I am with cake, so I often bite off more than I can chew. This time, 2 days before small’s birthday party, I found myself baking and decorating a large 40th birthday cake, while simultaneously icing fairy cakes to send to nursery, and building a chocolate galleon. All this in-between toddler wrangling, tidying and running down to the garage to put another coat of paint on the teepee. The party, by comparison, seemed like a small undertaking. Despite the oddity of inviting complete strangers (friends from nursery and their parents), about 5 kids plus our own and grandparents looked easy enough, until we factored in parents and worked out that could well mean nearly 30 people to cater for! Panic ensued â€“ we wrote shopping lists, planned timings and menus and consulted the Twitter oracle. With the 40th birthday party to attend the night before, it could have all gone horribly wrong but Mr MilkChic catered like he had never catered before and, with the weather fairy shining on us (very fortunate, as we’d left the tent that was to be our fallback option in a field at the previous night’s party), we managed to pull it off. Exhausted, we sat back, complimented ourselves on our daughter’s choice of friends, and poured a well-deserved glass (bottle) of wine. We had been planning a family camping holiday, but between Mr and the lumpy one’s work commitments and impending trip to Scotland, we soon realised we weren’t going to manage much. In the end we cobbled together a bank holiday weekend in a campsite not far from home. We were all incredibly unprepared, with the lumpy one managing to leave the house without any footwear except flipflops and an impressively thought out bag containing, as far as we could tell, largely socks. It didn’t bode well for university. Despite the lack of preparation, we had an enjoyable few days getting to know our local area better and found some great attractions on our doorstep. I seem to have spent a disproportionate amount of time writing lists this month. The timescale between exam results and freshers week is scarily short and while we are lucky in that we still have lots of things in the loft from when we moved in together there still seems an awful lot to buy. It’s almost as bad as preparing for a baby! The day before we were due to travel to Scotland, we woke up to a rather sheepish teenager with his hand in a cast. He had managed to break it the night before (don’t ask…) and had been told he may need surgery. Our local hospital, having assured him in the early hours that if he needed surgery it would all be sorted before he left, were lying and we finally travelled up with his hand in a cast, some heavy painkillers and some scary looking x-rays. All that just to get the front seat in the car…! I don’t want to get my cardi wet again so I will run fast into Scotland! It turned out to not be as bad as all that. Glasgow is gorgeous, it was (as Twitter predicted) more windy than rainy, and we’re hoping to have plenty of excuses to spend more time there. It was an emotional leaving – trying to explain to a toddler that her big brother won’t be home until Christmas has been difficult to get my head around and, while the curly one has a sensible head on her shoulders and has been wonderful this summer, I’m sure she’ll have her moments too. In between all this, Mr and the lumpy one took their bike tests so they could get around London during the Olympics, Lumpy bought an Ebay motorbike, my goddaughter turned one and there were various other madnesses, all of which have paled into insignificance compared to the rest of the summer. Note: I would like to apologise to everyone who has tweeted or e-mailed me recently for my scatty or non-existent responses. Usual service will be resumed just as soon as I can imbibe enough caffeine.